Asbestos Health Risks in Home Products - Environmental Studies, Asbestos Investigations, Industrial Compliance & Soil/Groundwater Remediation. Are there health risks in our homes? Most people would say yes. These potential health risks come in various shapes and sizes with many unique characteristics. One potential risk is asbestos. You may not be aware which products, common in many homes, could have asbestos. Let’s take a look at just a few. 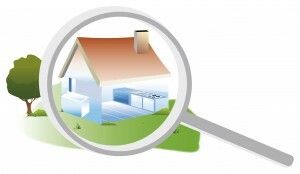 The Mesothelioma Cancer Alliance in a recent blog, outlined several common home products where asbestos is often found. They included: older crock pots, hair dryers, popcorn poppers, and even baby powder. If you are remodeling your house there are additional products which may contain asbestos. Prior to regulations, crock pots had asbestos in the lining between the outer and inner pot to retain heat. Asbestos was also used in the power cord to prevent electrical fires. “Chrysotile, or white asbestos, was the most common of the six types of asbestos used in appliances. While exposure to this asbestos is less likely to cause cancer, it is still a toxic substance. U.S. hair dryer manufacturers agreed to stop the use of asbestos in their products in the late 70’s. However, the manufacturing of most hair dryers today has been outsourced to foreign manufacturers where environmental regulations on asbestos are few or non-existent. Check your product to see where it was manufactured and be aware of the potential asbestos health risk if it was produced outside of the US. Talc is in most baby powder. This mineral is mined and is often found to have the presence of tremolite asbestos within it. Most domestic manufacturers have taken safety measures to prevent tremolite in their talc used in cosmetic products. However, foreign manufactures have not. Again, Check your product to see where it was manufactured and be aware of the potential asbestos health risk if it was produced outside of the US. Many older building materials contained asbestos for durability, fire prevention, and noise control. With the addition of asbestos fibers these building materials would last much longer. Some of the older products known to contain asbestos is older sheet rock or dry wall, popcorn ceiling texture, and certain floor tiles. Often the kitchen sink was sprayed with an asbestos containing product. Homeowners should consult a professional for advice before potentially exposing themselves or their family to this health risk. TKEC’s state certified asbestos professionals provide an array of services that can help identify and mitigate asbestos health risks in both your home and your business.